Oak Fields, being located on the highest peaks of Munnar offers stunning natural views and natural environment. Although situated in the midst of the tea plantations, this hotel is near to the city as well. The tastefully decorated rooms along with the world class amenities available at this accommodation make up the day of every guest. The travel desk available at the reception of the hotel assists the travelers to plan their tours to the nearby destinations. The Rose Garden, Attukal Waterfalls, Pallivasal Waterfalls etc. along with acres of tea plantations will make you experience zenith. Some of the other amenities that are provided by the hotel are round the clock room service, laundry service, 24 hour security, pick up and drop facility, multi-cuisine restaurant, medical service and uninterrupted Wi-Fi access to make your trip to Munnar as comfortable as possible. In evenings, the hotel staff arranges for a campfire amidst the clouds which are a special feature of this area. Looking for an accommodation option in Munnar without compromising on the comfort and luxuries? Then, be rest assured that the Deluxe Rooms at Oak Fields Hotel will definitely impress you. These rooms are well designed and strike a balance between the practicality and the lavish comforts. They are elegant and inspired by the contemporary themes with colors of local culture embedded in them. To make sure that each of the guests enjoy comfortable stay, these rooms come embellished with state of the art amenities. 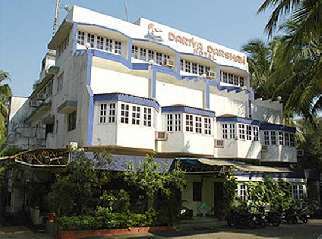 Some of them include tea/coffee maker, round the clock room service, telephone with direct dial STD and ISD facility, attached bathroom with premium toiletries and 24 hour supply of hot and cold water, television with satellite channels, and more. All these combined together provide the best stay option to the travelers who come for holidaying in Munnar. Sink your teeth in your favorite delicacies at the in-house multi-cuisine restaurant of Oak Fields Hotel in Munnar. The guests have a wide selection of options to choose from including Indian, Chinese, Continental and more. Local delicacies are also served by the diner that is prepared as per the traditional recipes. The royal furniture, immaculate cleanliness, ancient style interiors and top it all, the world class service of the hotel staff makes the whole dining experience worth remembering for times to come.